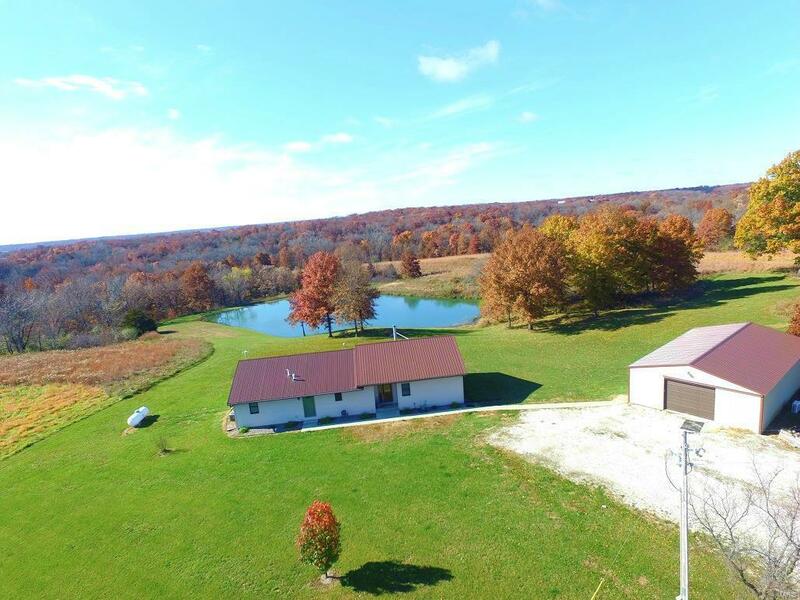 Here it is - if you are looking for a secluded hunting getaway with a nice home and lake views second-to-none, take a look. 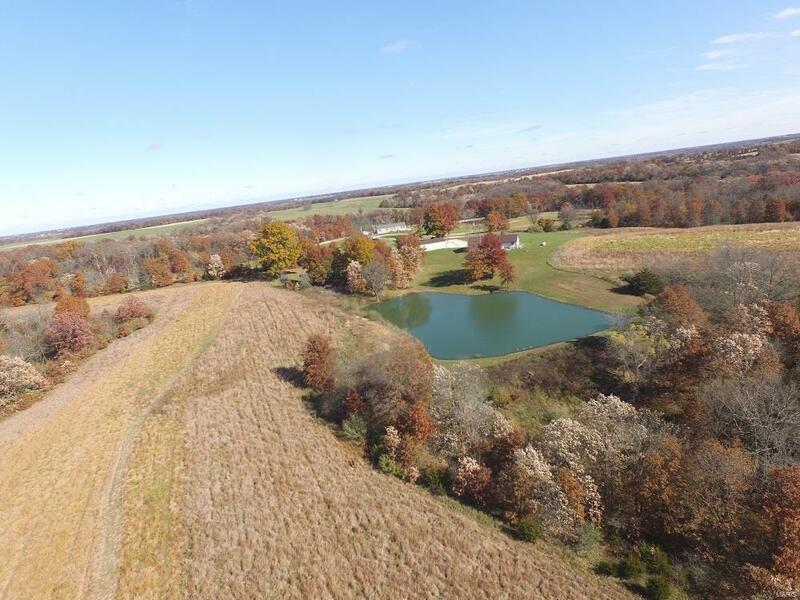 This 47.5 acre tract has been very well-maintained over the years, and provides CRP income, a stocked lake, solid hunting potential, a newer home and 30x50 metal utility shed. 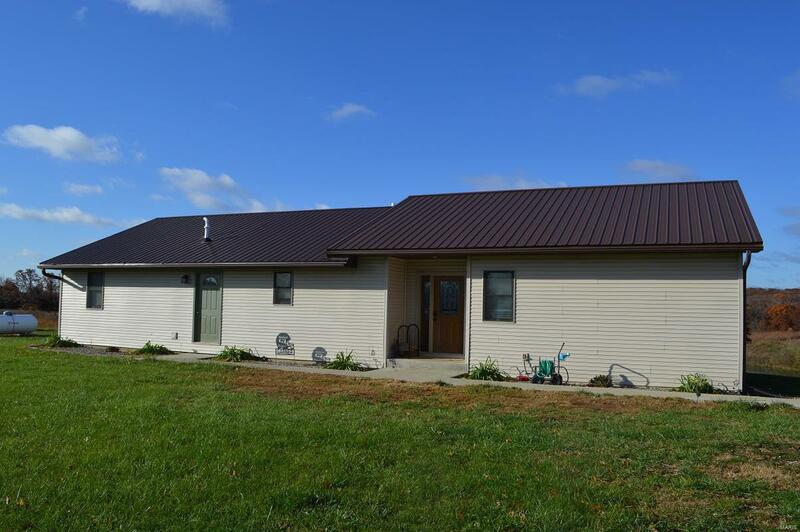 The home was new in 2010, and features an open floor plan, spacious living/dining area, big bedrooms, and a master suite that includes an attached bath (with walk-in tile shower & separate soaker tub), and a full walk-in closet. The updated kitchen has a handy center island, and sells with all appliances. The laundry/utility room is just off the spare bedrooms, and the sunny dining room walks out to the private back deck. 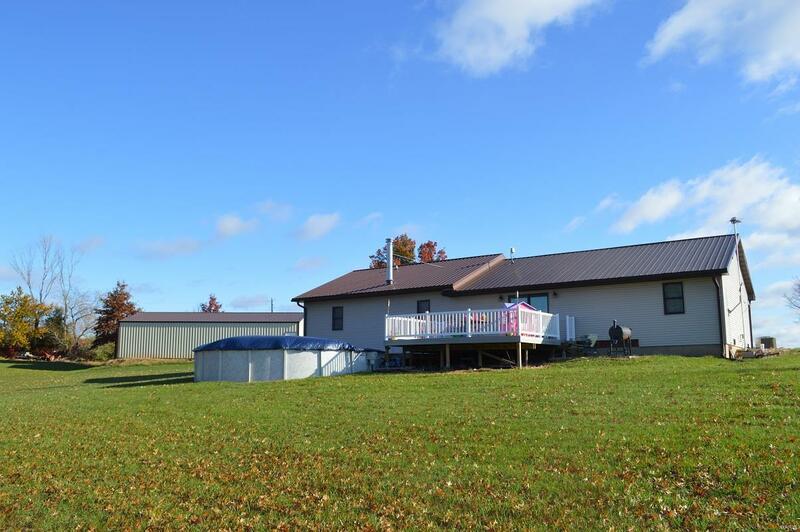 Deck is composite, and overlooks the stocked lake, and has a lower level attached to the above-ground pool that was installed in 2018. The 30x50 utility shed is insulated, heated & cooled, has an overhead garage door, 220-electric, workbench and plenty of room. Listing provided courtesy of Fretwell And Associates, Llc. Listing information © 2019 Mid America Regional Information Systems, Inc.